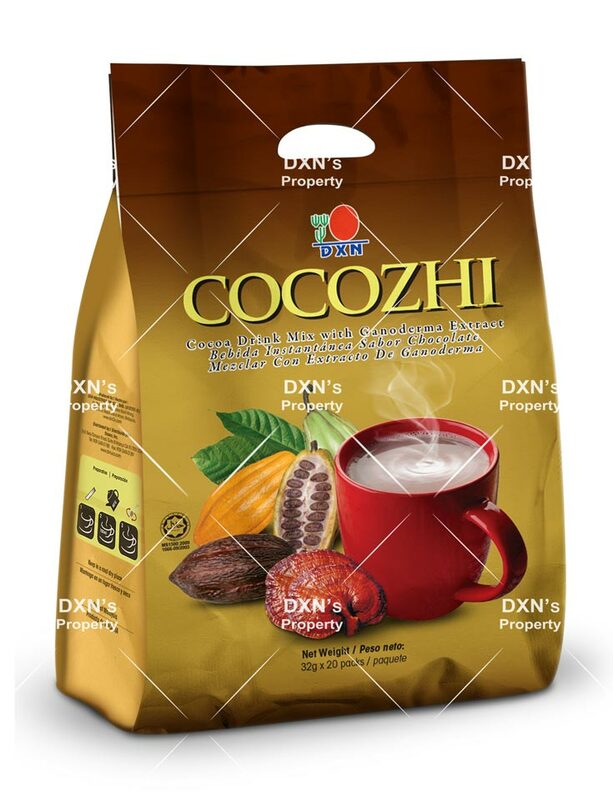 Cocozhi is a hot chocolate cocoa beverage, uniquely blended with cocoa, ganoderma extracts and skim milk powder. 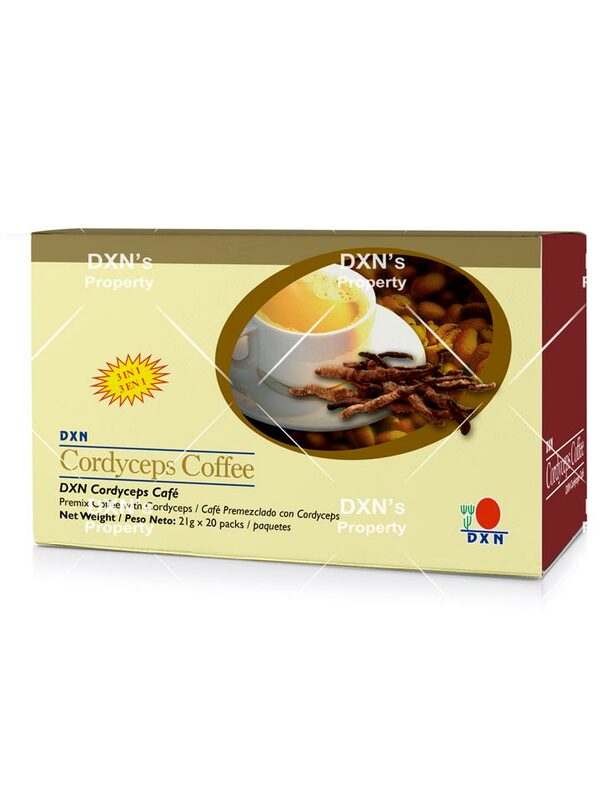 Cordyceps Coffee 3 in 1 is a coffee beverage uniquely blended with the finest coffee beans, Cordyceps, sugar and non-diary creamer. 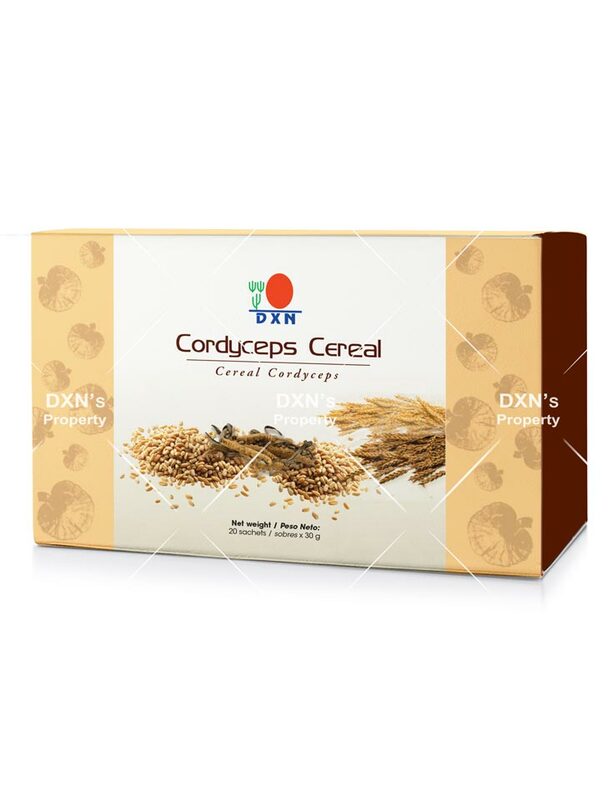 Non Dairy Creamer (Glucose Syrup Solids, Vegetable Fat, Dipotassium Hydrogen Phosphate, Sodium Tripolyphosphate, Sodium Caseinate (a milk derivate), Mono and Diglycerides of Fatty Acids, Diacetyltartaric and Fatty Acid Ester of Glycerol, Beta Carotene), Sugar, Instant Coffee Powder, Cordyceps. 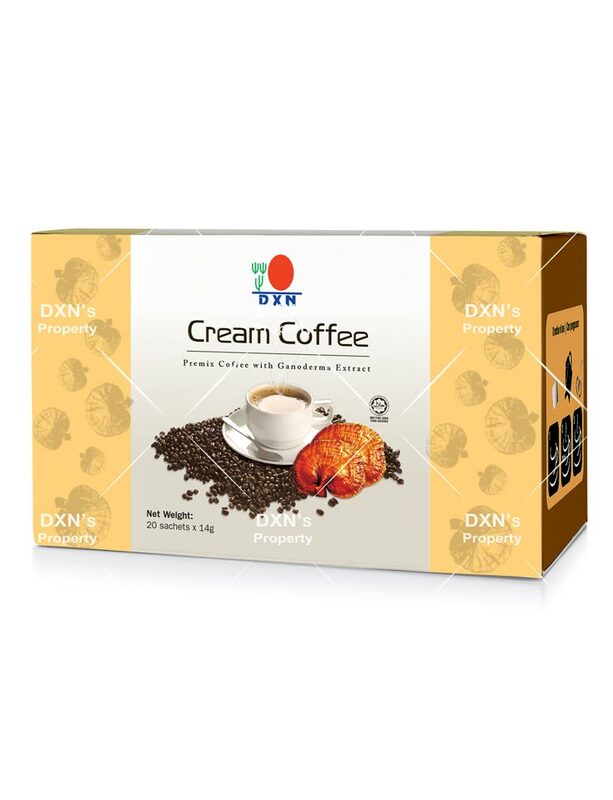 DXN Coffee Cream is made from the highest quality instant coffee and Ganoderma mushroom extract. It does not contain sugar, but contains a herbal replacement of the cream, which gives it a delicate, silky flavor. Recommended for those who want to reduce sugar intake. 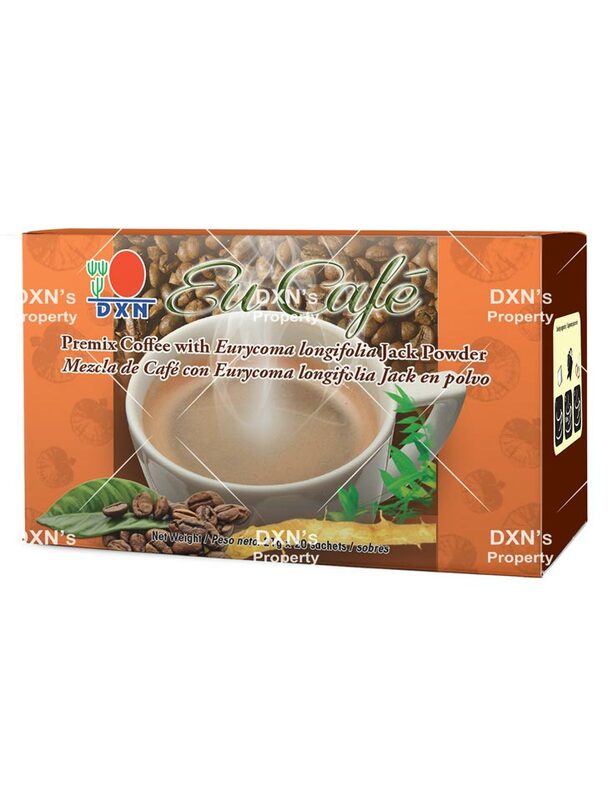 DXN presents a ﬁrst-rate Tongkat Ali product – EuCafé. This product is a perfect blend of the extracts from selected Tongkat Ali roots and premium quality coffee powder in a premix instant coffee packet for easy preparation and consumption. Together with its delicious and aromatic coffee ﬂavour, EuCafé is certainly a beverage that you simply can't resist! 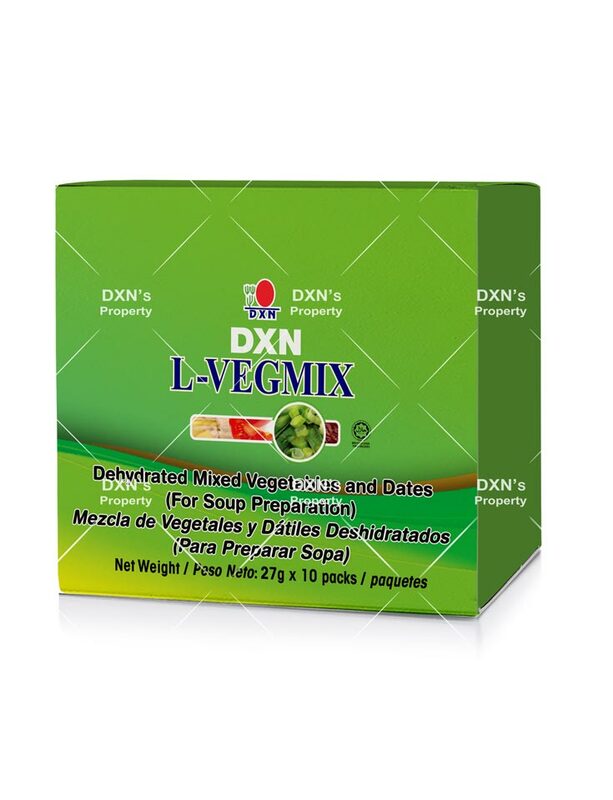 DXN Fruzim is a nutritious enzyme drink naturally fermented from peach and plum. 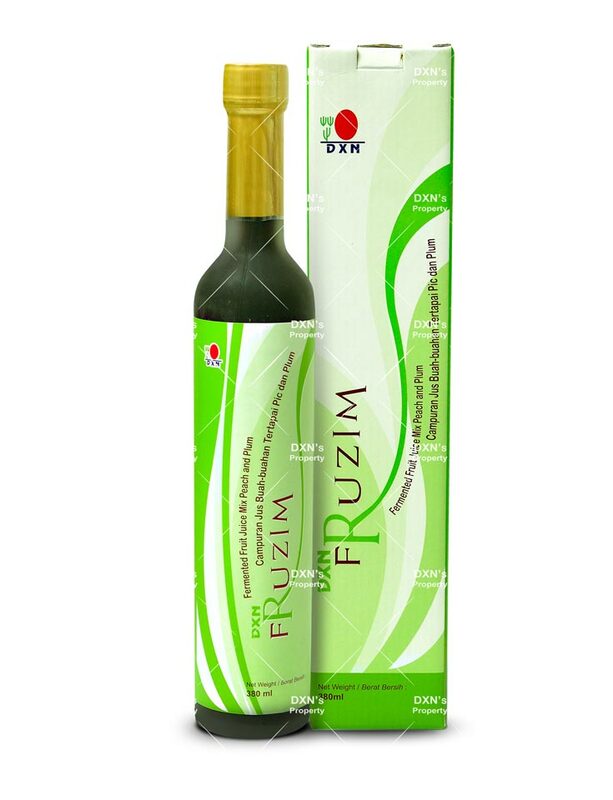 Characterized by its refreshing fruity taste from peach and plum fruits, DXN Fruzim is your good choice as daily drink. A healthy variation and refreshingly delicious beverage for you to kick start the day or as a tea-break in the afternoon. 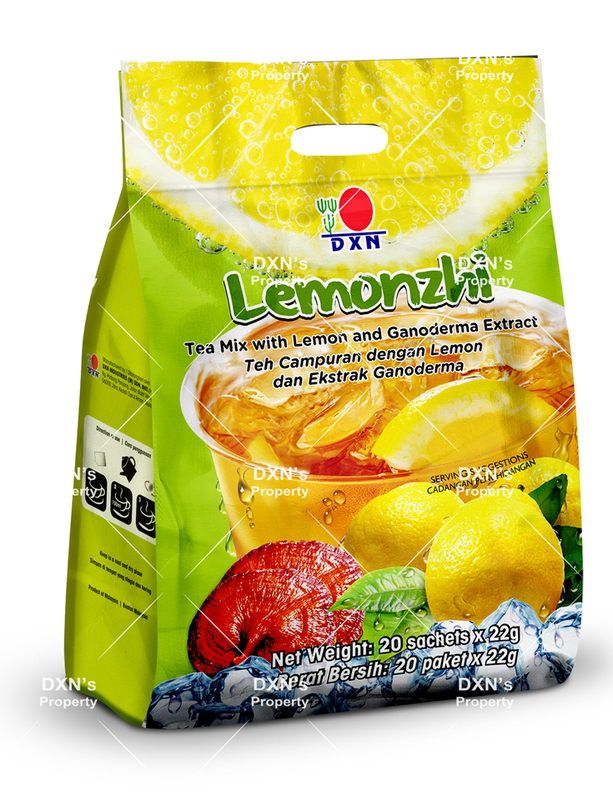 It is specially formulated from lemon with the addition of tea powder and Ganoderma extract. Sugar, Lemon Powder, Instant Tea and Ganoderma Extract. 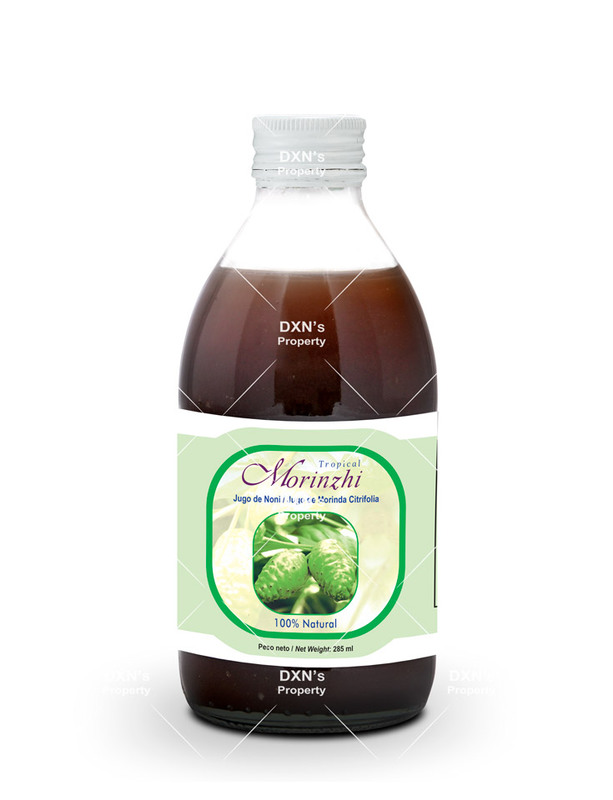 Morinzhi is a nutritional botanical beverage specially formulated from Morinda citrifolia and is enriched with Roselle. Morinzhi juice is rich in vitamins, minerals and antioxidants. 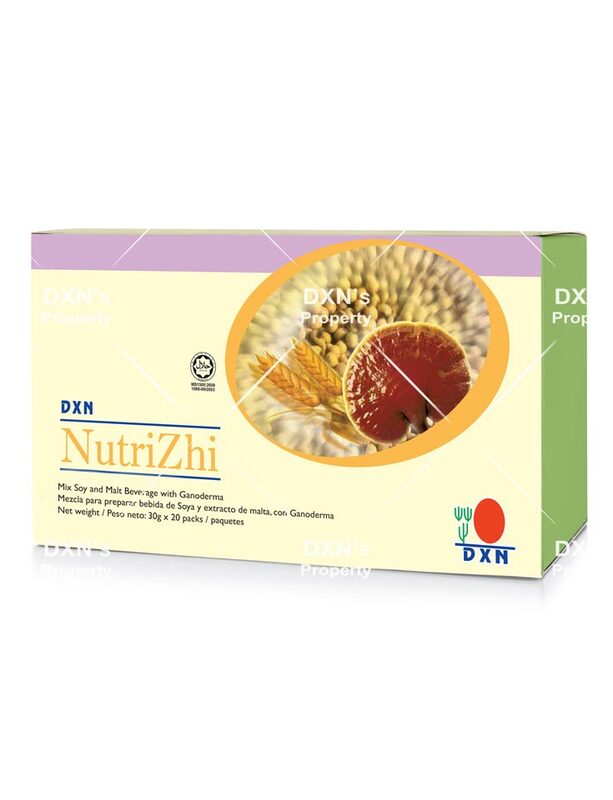 DXN NutriZhi™ is a mixed soy and malt beverage specially formulated using premium quality of soybeans, malt and Ganoderma mycelium extracts. NutriZhi™ is rich and creamy with natural soy bean taste and great aroma of malt, thus making it truly palatable and delicious. Instant soya bean powder, malt extract (barley), Non Dairy Creamer (Glucose Syrup Solids, Vegetable Fat, Dipotassium Hydrogen Phosphate, Sodium Tripolyphosphate, Sodium caseinate (a milk derivative), Mono and Diglycerides of Fatty Acids, Diacetyltartaric and Fatty Acids Esters of Glycerol, Beta Carotene), Sugar, Ganoderma Mycelium, Omega 3 and Omega 6. 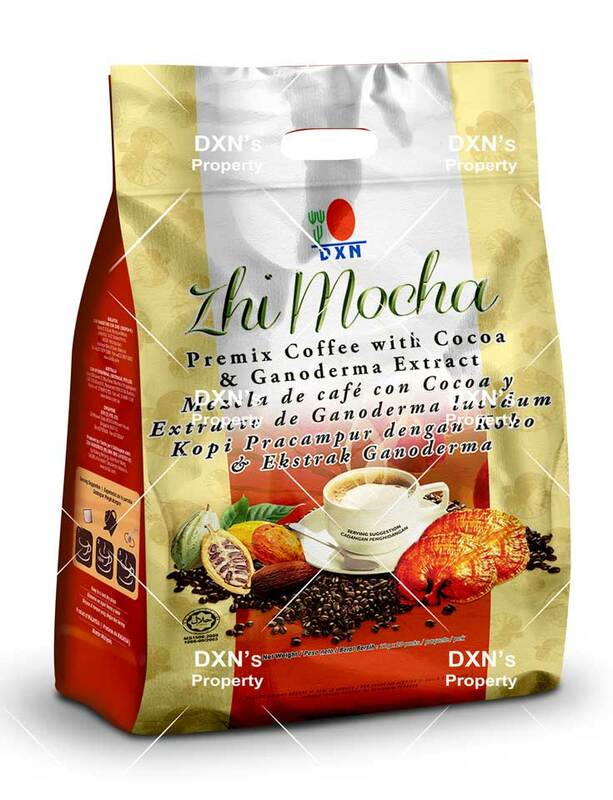 It is blended with instant coffee powder made from selected coffee beans, Ganoderma extract and cocoa powder. 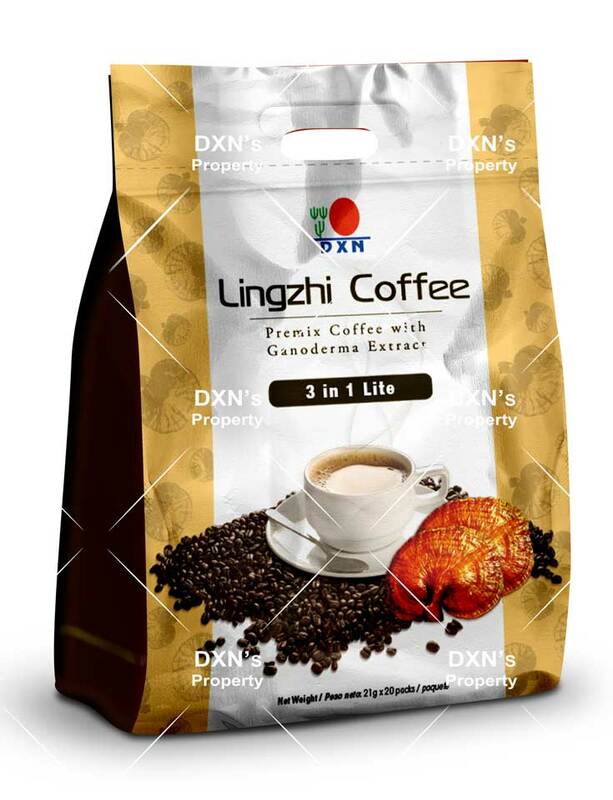 Lingzhi Coffee 3 in 1 is a coffee beverage uniquely blended with the finest coffee beans. Ganoderma extracts, sugar and low fat creamer. Coffee is packed individually in small sachets for instant satisfaction and everybody use convenience. 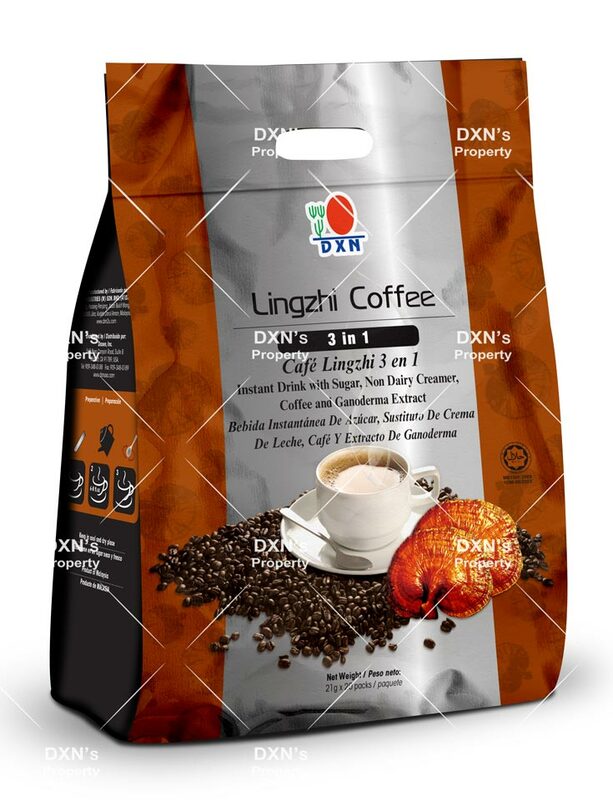 Lingzhi Coffee 3 in 1 Lite is another new variant of the DXN Lingzhi Coffee series. This coffee has a smooth creamy taste. 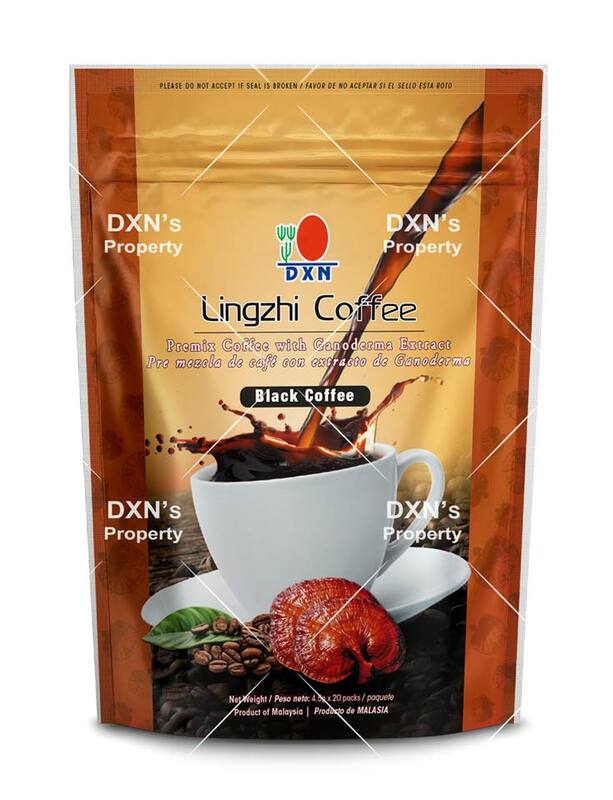 Just add one sachet of the Lingzhi Coffee 3 in 1 Lite into 5oz of hot water and stir to enjoy this sensational new coffee experience with DXN. 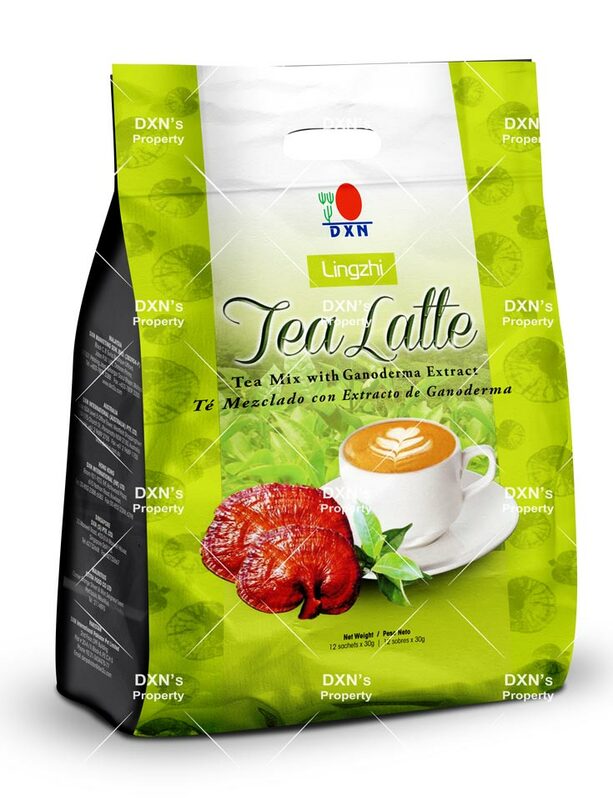 DXN Lingzhi Tea Latte Is a premixed of premium tea powder with non dairy creamer and ganoderma extract. This combinantion gives strong and less bitter taste of tea, which was enhanced with the addition of the delicious creamer. With a delightful distinctive aroma, you will definitely feel more energetic to start the day. 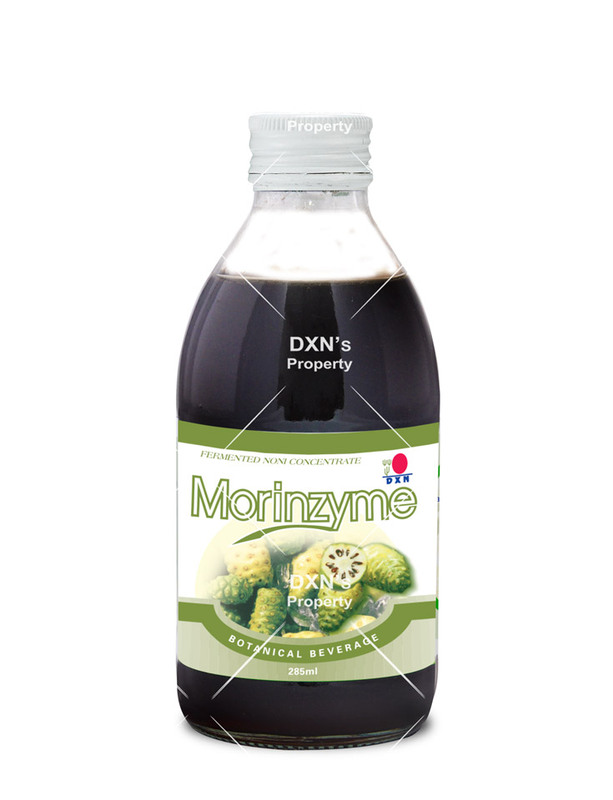 Morinzyme is a specially formulated concentrate of fermented botanical noni juice. 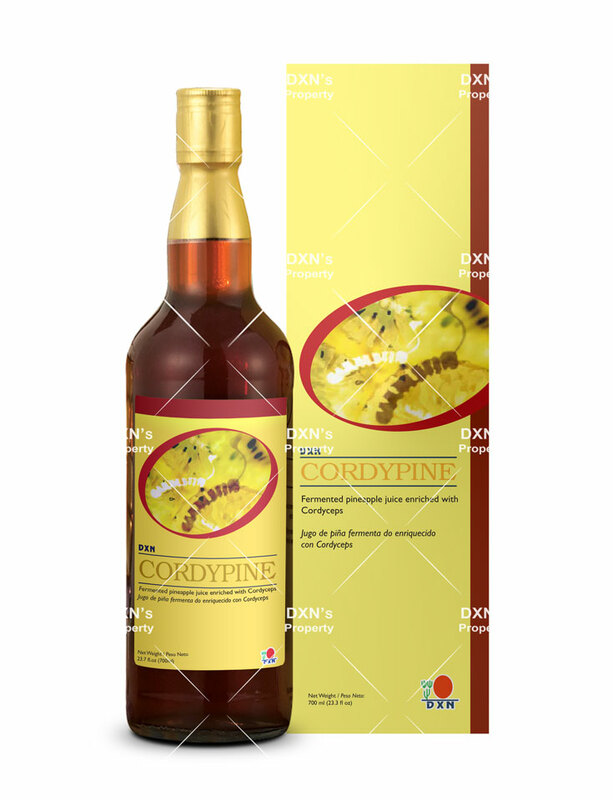 It is rich in enzymes essential for the maintenance of a healthy digestive system. 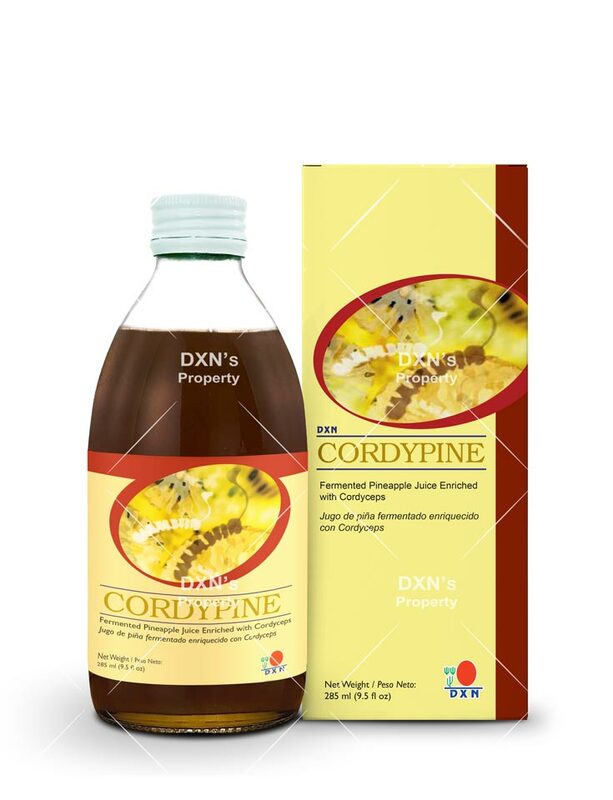 This drink can be prepared by adding 2 tablespoons of Morinzyme noni concentrate into one glass of water. It is best taken before meals or on empty stomach 1-3 times per day. Tea is a traditional beverage brewed from the processed leaves of the tea plant called "Camellia sinensis". In each leaf lies the natural composition of nature's goodness, especially polyphenols, trace elements and vitamins. 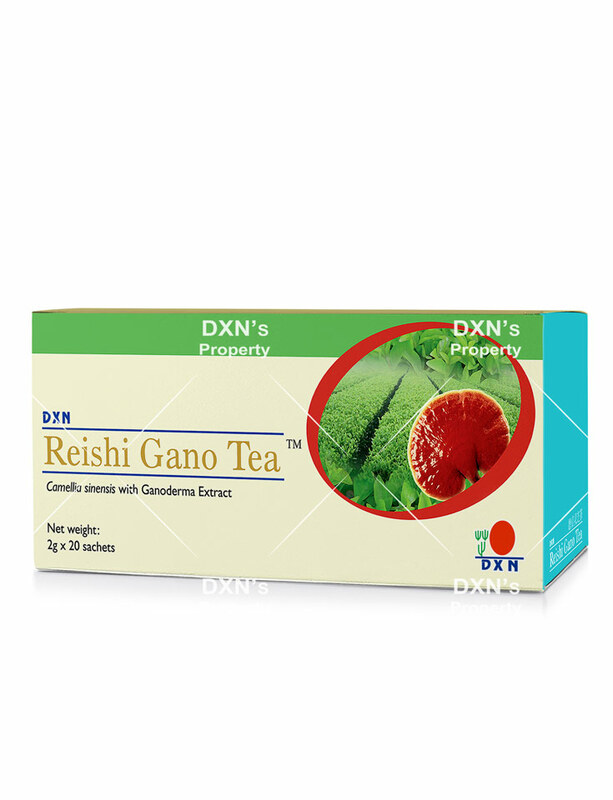 DXN has introduced the DXN Reishi Gano Tea™ which is blended with high quality Reishi Gano powder. DXN Reishi Gano Tea™ has no added preservatives, artificial colourings and flavourings. It also invigorates your mind and body and you will also be delighted with its exceptional flavour and pleasant aroma. Longing for a flavoursome cup of tea? Indulge in DXN Reishi Gano Tea™! Escape to paradise anytime with our Roselle Juice! 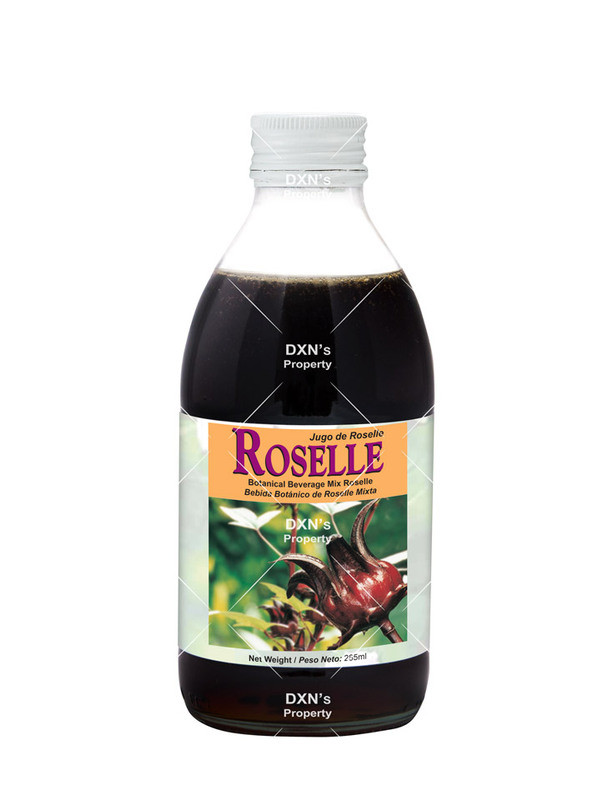 It is specially made from the extract of Roselle calyces and a delicious refreshment suitable for all. Also ideal for making ice cream, jam and jelly. 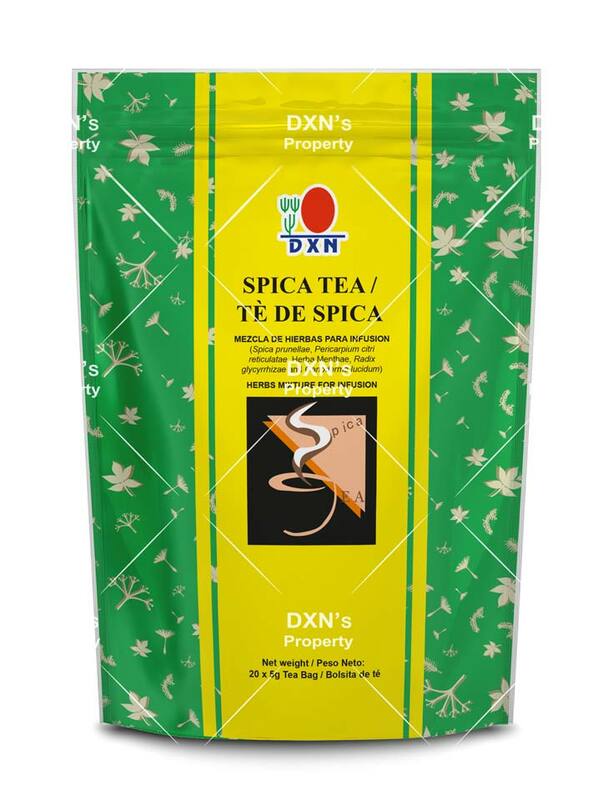 Spica Tea is specially formulated with Ganoderma, Radix Glycyrrhizae and other natural herbs. It is mild and does not contain caffeine, artificial coloring or preservatives, suitable for people of all ages. Spica Tea is packaged individually in small sachets for everyday use convenience. 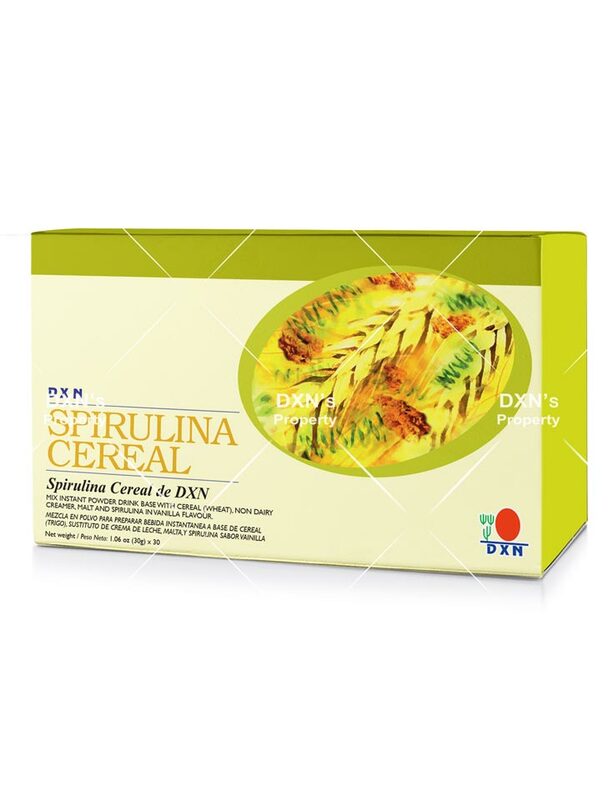 Spirulina Cereal is an instant high fiber nutritional cereal. It is made from high quality cereals and spirulina powder, and it is one of your best nutritional sources. Mix a sachet of DXN Spirulina Cereal with a glass of cold milk to enjoy a nutritious drink. Vita Café is a unique blend of high quality Ginseng and Tongkat Ali powder with Ganoderma extract. 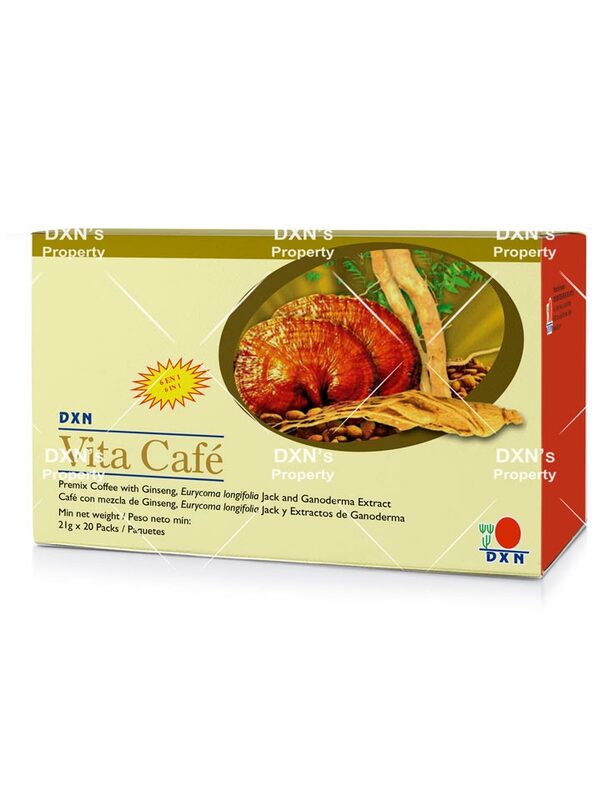 DXN Vita Café is conveniently prepared in the form of premix coffee for easy consumption. All you need to do is to add the instant powder of Vita Café into a cup of hot water to experience the rich aroma of Vita Café. Do not hesitate. Start your “Vita” life today! 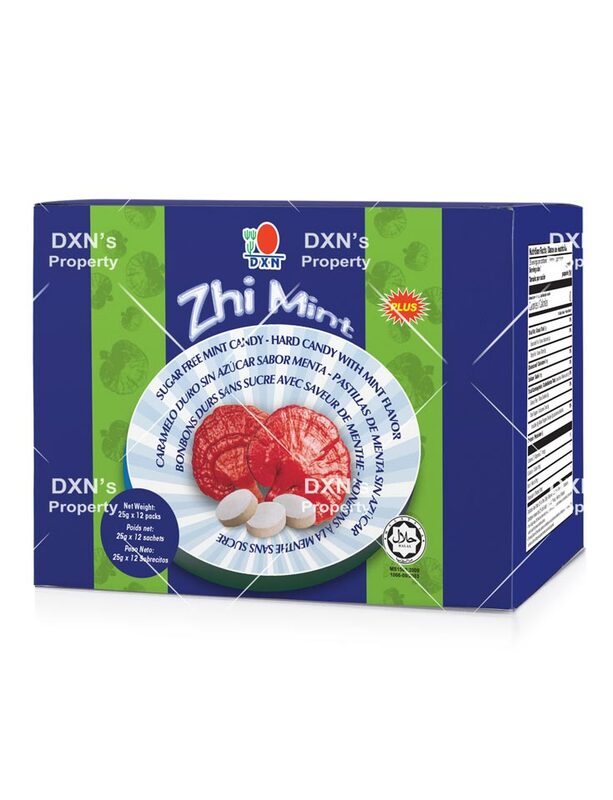 DXN White Coffee is topped with a light layer of creamer foam and formulated together with ganoderma extract. 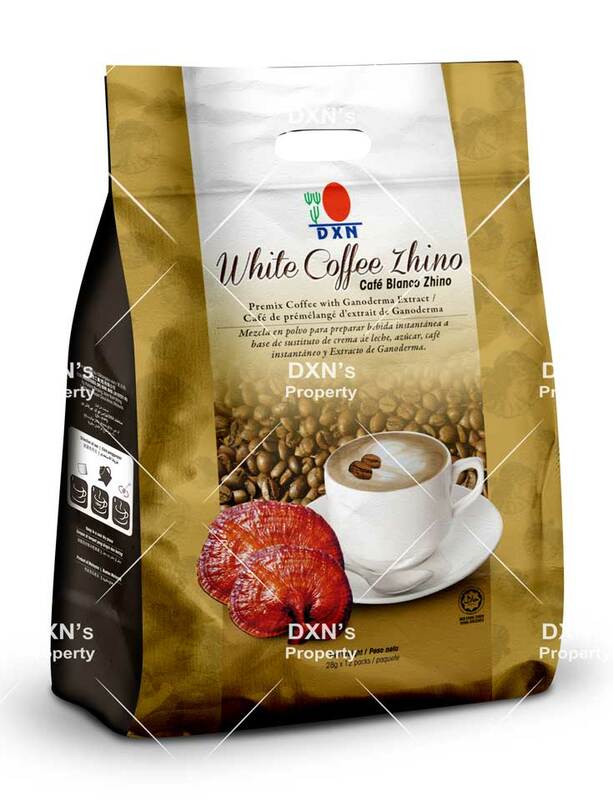 The best thing about drinking a cup of DXN White Coffee Zhino is having the dense and creamy yet light and airy taste, and feeling your mouth at the same time. 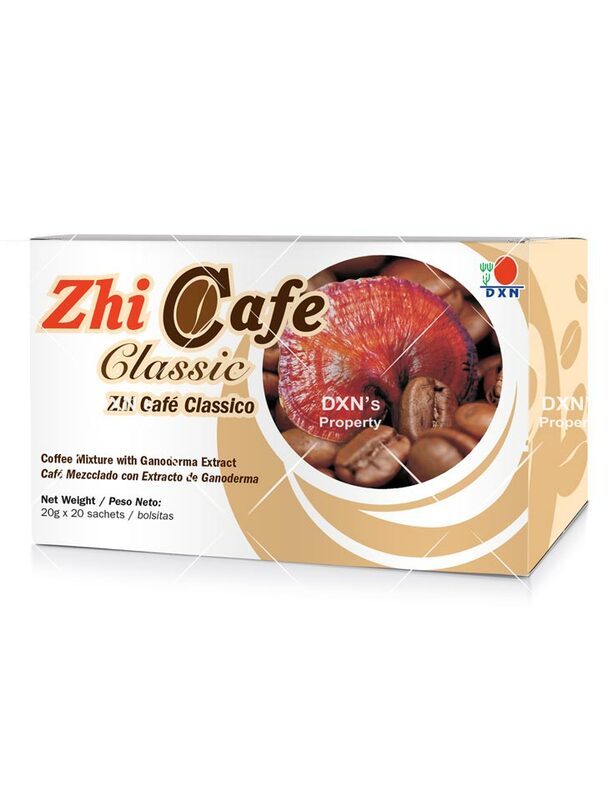 DXN brings you Zhi Cafe Classic, which is made from a blend of Ganoderma extract and fully roasted coffee beans. It gives you a mild smooth taste with a satisfying deep pleasant aroma which is excellent for a great first cup every morning. You will be absolutely amazed at the aroma and flavour of this freshly roasted coffee.